Hot New Listings Delivered to your inbox! Get Started Now! -- Assure that you see all the properties in the area that meet your criteria. -- Guide you through the entire home buying process, from finding homes to look at, to getting the best financing. -- Make sure you don't pay too much for your new home and help you avoid costly mistakes. -- Answer all of your questions about the local market area, including schools, neighborhoods, the local economy, and more. -- Check your credit rating. Straighten out any errors before its too late. -- Determine a comfortable monthly budget for your new purchase, including down payment and monthly payment. -- Find a loan program that meets your needs and get pre-qualified (preferably pre-approved). 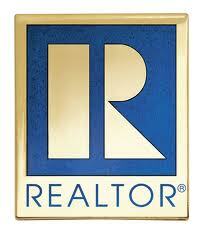 -- Choose a REALTOR® that you trust and who understands your needs. -- Determine what neighborhood best matches your needs. -- Identify important features you need your new home to have. -- Lender fees include charges for loan processing, underwriting, preparation and establishing an escrow account. -- Third-party fees include charges for insurance, title search, and other inspections such as termites. -- Government fees include deed recording and state & local mortgage taxes. -- Escrow and interest fees include homeowner's insurance, loan interest, real estate taxes, and occasionally private mortgage insurance.